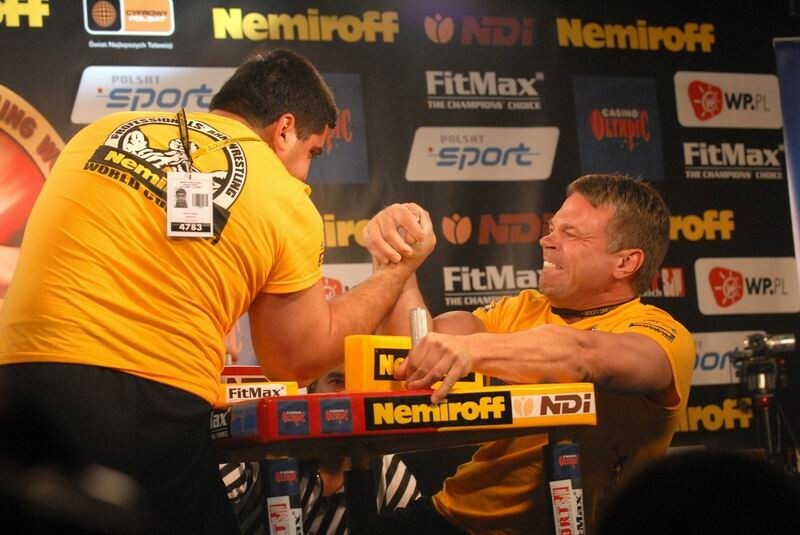 Armwrestling is sport discipline that captures more and more fans throughout the whole World. It is typical sport of fight, extremely spectacular and dynamic. Final result of duel depends upon technical skills and tactics as well as on reaction speed of competitor. Fights last from fractions of second to several minutes. 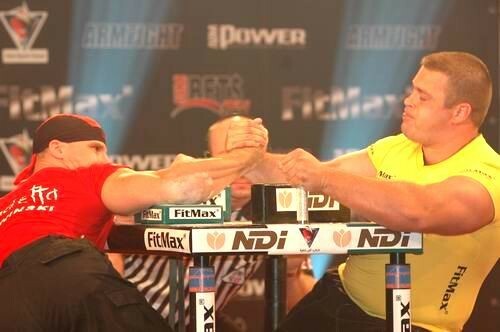 Armwrestling is sport discipline that gives excitement to millions of people in the World. Bulgaria, Romania, Russia, Ukraine, Turkey, USA (Las Vegas), Germany, UK, United Arabic Emirates, and others. When we create first thing on our mind is our client. For our clients we cooperate only with the champions of this sport. 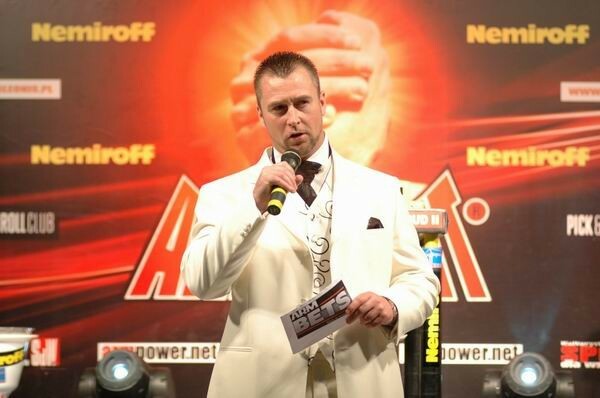 We are the only promoters of armwrestling in the world, who have signed contracts with top world fighters. Since 2007 we are owner World Wide brand. 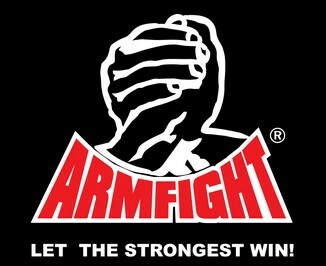 Armfight� is registered trademark and well known brand all over the world. "...professionalism and passion mean success in sport and business"
For us �fair play� is not only a basic rule of sport. We use it also in business cooperation. Appreciating authority, prestige and role of companies working with us on global market we guarantee professionalism and reaching the top with the best in the world of armwrestling. "...we work with the best, for the best"
Our product is present in many countries on various continents. Thanks to participation of the best armwrestlers in the world (among others from: Bulgaria, Romania, Lithuania, Latvia, Estonia, Ukraine, Belorussia, Hungary, Slovakia, USA, or UK) we come across wide range of viewers, what is guarantee of reaching possibly biggest target group. "...millions of viewers in the world are watching us"
We know how important for sport development is exposure in media. That is why the most important international events are broadcasted (often live) in the worlds biggest TV stations: Bulgaria (Ring TV), Ukraine (Mega Sport Ukraine), United Arabic Emirates (TV Dubai Sport), or all-European (Eurosport). "...our choice is quality and the viewer"
We are also producer of periodical programmes showing reports from international armwrestling clashes. Our programmes are reports from the biggest and greatest fights that take place in Europe, Asia and America, and each episode is 30-minute portion of emotion and adrenaline. In February 2007 our flagship programme "VENDETTA" was prize winner at International Festival of Movies and Sport Programmes � Warsaw, in "Sport Programmes" category. To add more, in November 2007 it took second place at "XXV International Festival in Milan - Sport Movies & TV" defeating rivals produced by commercial and national TV stations. Appreciating power of internet we have been editing for very long time now the biggest website fully devoted to Armwrestling . We also owe the growing popularity of Armwrestling in the world to constant cooperation with branch sport websites and branch sport press. Additionally, our press office everyday deals with wide popularization of Armwrestling. Copyright(c) Armfight. 2010 All Rights Reserved.